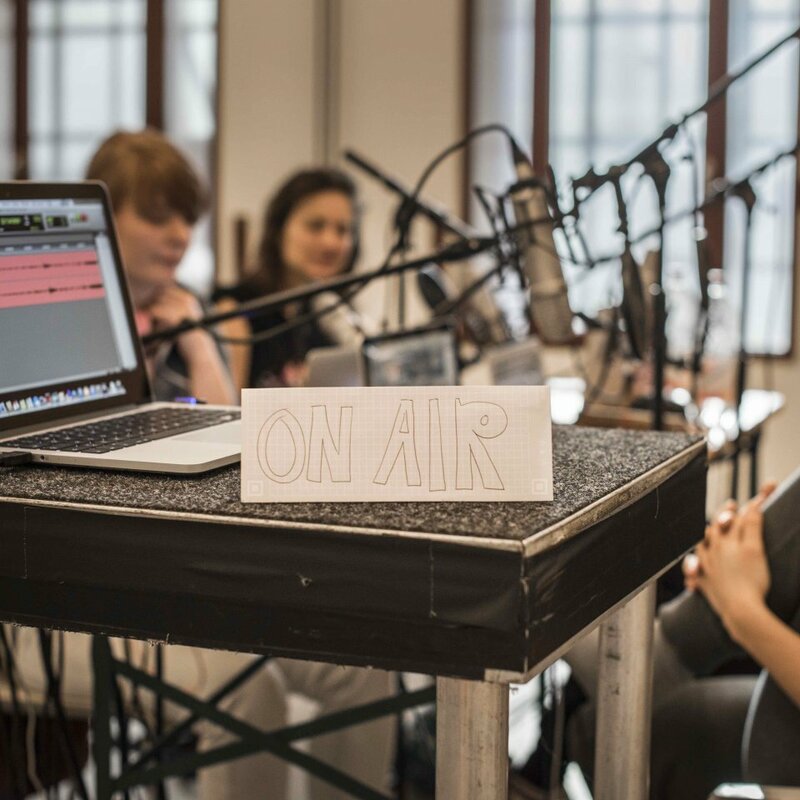 On air is a dance performance that navigates through radio broadcasting, dancing and playing in a choreographic context. The piece works with layers and expressions that points in many directions and wants to create space for the spectators own interpretations. 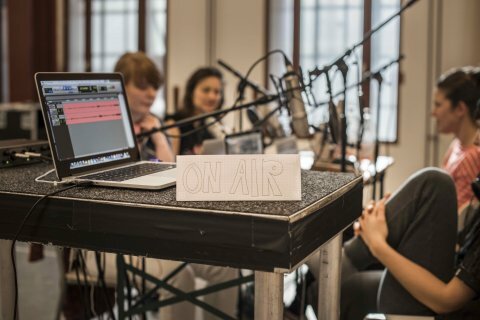 Four dancers are broadcasting a radio show. Four choreographers are acting in a radio play. Four singers are wrestling. 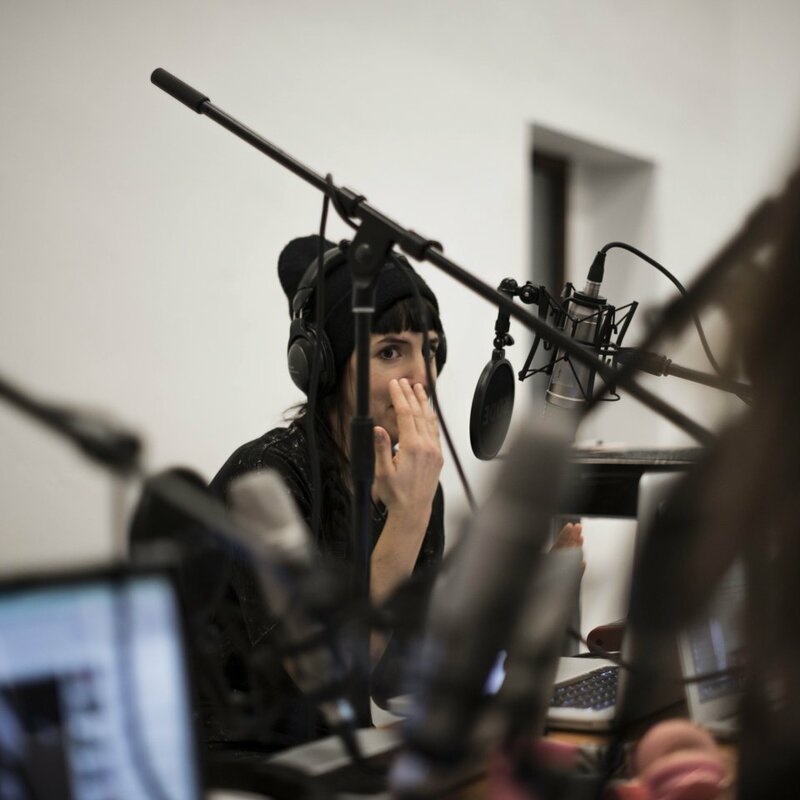 On air is dancing as radio, radio as dance, radio as format, radio as scenography, choreography as radio as something that brings people together, and more than anything On air explores different ways of being together. 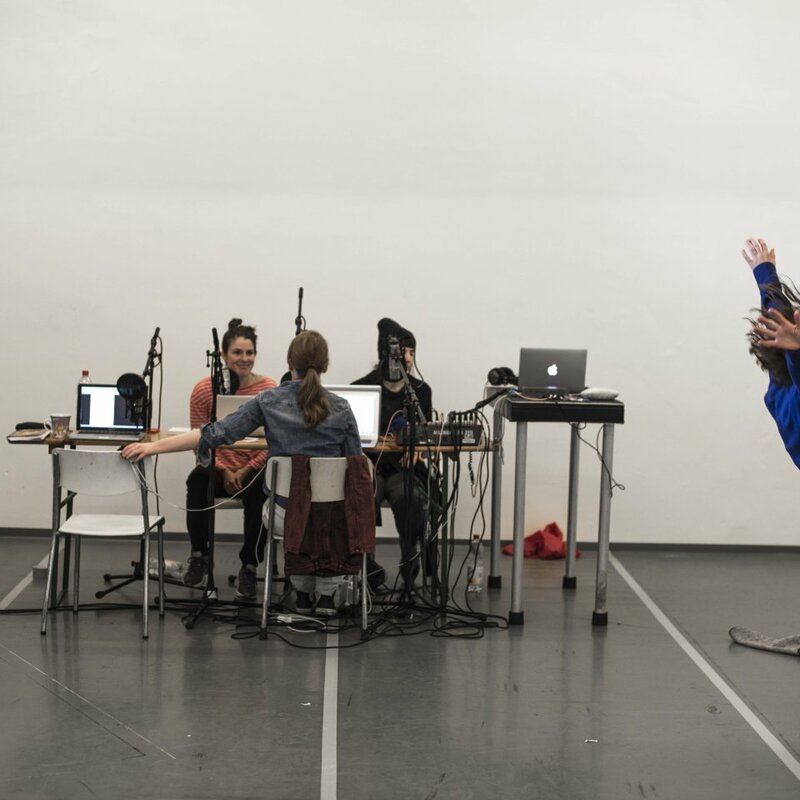 On air is a continuation of the work Nadja Hjorton initiated with Radio dance, her solo from 2012. Together, Nadja Hjorton and dancers/choreographers Halla Ólafsdóttir, Zoë Poluch and Jessyka Watson-Galbraith, light designer Chrisander Brun, sound designer Elize Arvefjord and dramaturg Caroline Åberg, have developed the performance through ideas, practices and approaches starting from a conversation they had in a sauna by a lake outside of Stockholm. Initiated by: Nadja Hjorton. 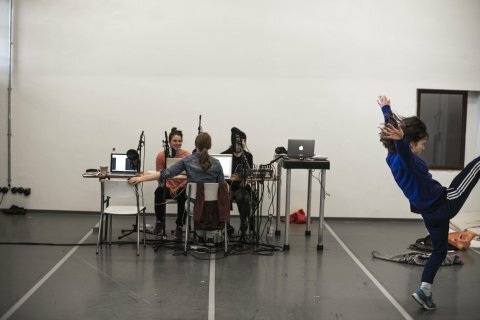 Performers: Nadja Hjorton, Halla Ólafsdóttir, Zoë Poluch, Jessyka Watson-Galbraith. Set, light, costume: Chrisander Brun. 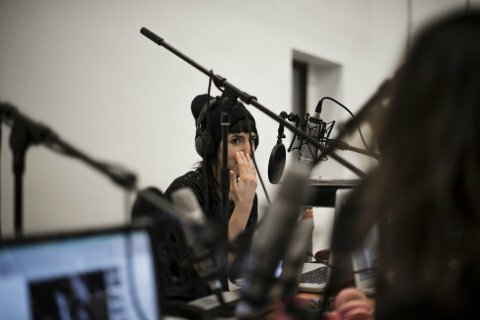 Sound: Elize Arvefjord. Dramaturgy: Caroline Åberg. Photo: Märta Thisner and Chrisander Brun. Co-production: ÖFA-kollektivet, MDT, Kunstencentrum BUDA. Residency: PACT Zollverein.